You've probably driven through Newburgh Heights on Interstate 77. 92,000 cars travel through the village’s jurisdiction every day. But the tiny village has a big secret. And 5 On Your Side Investigators are exposing it. Over the last 3.5 years, the government of Newburgh Heights has sanctioned a scam that has taken thousands of dollars from insurance companies and drivers. Newburgh Heights is all of a half-square mile total — including the golf course. The average income is around $40,000. Average home values are about $73,000. "You think it's official. You're doing the right thing,” said Rhonda Abraham. She’s a victim of the widespread scheme to fool people and insurance companies into giving cash to Newburgh Heights. "I work hard for my money…I don't want to give it away. I can do better things with it," she said. "(Drivers) just assume they have to pay it or they're going to get arrested if they don't,” said driver Mike McFarland. "It just don't seem morally right to charge you for something like this," he said. "(Drivers) just assume they have to pay it or they're going to get arrested if they don't"
And what is Newburgh Heights charging for? Calling the cops for an accident. Newburgh Heights is the same village where at least 1/5th of its budget comes from traffic tickets . 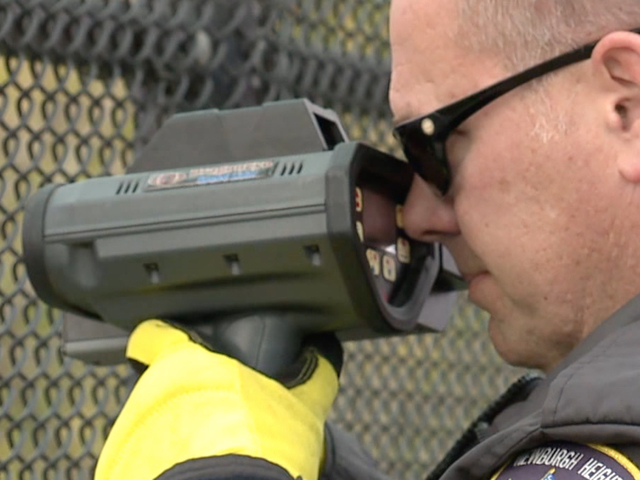 You might know it from the well-publicized, controversial speed cameras or officers on a bridge checking their money maker — I-77. At Newburgh Heights Mayor's Court, where the speeders are paying up, the drivers had an opinion about what’s really happening. We asked people there if they think the fines are more about safety or more about the money. “More so about the money," said Nautica Skinner. "I feel like it's more about money,” said Aaron Smith. "Yeah, that's a lot of money accumulating, you know?" said Gerald Thames. Inside the village's new $2.8 million hall sits a cavernous, well-adorned chamber complete with bay windows, crown molding and a chandelier. The court costs for the proceedings? $90 a head. It's a village where the police chief has a salary that's more than 1.5x what the average citizen makes. There's money going into the police department. It's a village with just under 2,200 but it has 30 total officers. We drove the main loop in the town. It took us 3-and-a-half minutes. Are 30 officers really needed there? Similar villages like Strasburg, Walton Hills, Gate Mills all have more people, all with many more square miles, and all with fewer officers. A lot fewer. It's a village where the police chief has a salary that's more than 1.5 times what the average citizen makes. Mayor Trevor Elkins? Same thing. We wanted to know more about charging people for calling the cops, but the stewards of the village coffers didn't want to talk to us. So, we went to them just before their bi-weekly meeting. "Feel free to contact me during the business day,” said Mayor Elkins. When we said we’ve done that several times but he denied us an on-camera interview, he said this: “I don't have to give you an interview." No interview. So, we waited until the public comment session. "The taxes of your village don't cover the police department?" we asked, standing in front of the council members. The conversation was lively and included a key question about billing for the response of police. "Is that hard billing or soft billing? What would you tell the people who receive those bills?” we asked. “Chief, do you have a comment? I think the answer is a soft billing,” said Mayor Elkins. The village’s fire chief said he didn’t know. Turns out the mayor admitted it's all soft billing. What's that? That's the scam. You don't have to pay. It never tells you there's no enforcement to pay in the official-looking bills sent to people who are at-fault and live out of town. The bills just keep on coming. "It's terrible that it's going on and it's been going on for a while." "It started really making me think this is some sort of scam or something,” said Dennis Geiger. His wife, who didn't want to go on camera, was in a fender bender. Someone hit her from behind in Newburgh Heights in September of 2015. She pulled to the side of the road. "A half-hour later, she called me back and says, ‘No one's come. I've called twice. No one's come,” said Geiger. She drove herself to the police station and filed the accident report. Five months later, Geiger got a bill for $436 for police services including a police officer and a squad car. But wait, that never happened to begin with. When we asked about Geiger’s case, the village said that bill was a clerical error. "So you probably also discovered that that's the only circumstance where that's occurred,” said Mayor Elkins. Not true. We uncovered another crash in 2015 where Newburg Heights police clearly stated "it is undetermined who was at fault." The insurance company got billed anyway and paid it. So, in the sleepy little town, Newburgh Heights’ officers are still out there on the bridge. The mayor’s court is still packed. And the billing scam keeps rolling along. "It's terrible that it's going on and it's been going on for a while," said Abraham. "How do you sleep at night knowing that you're fleecing people the way you do?" asked McFarland. 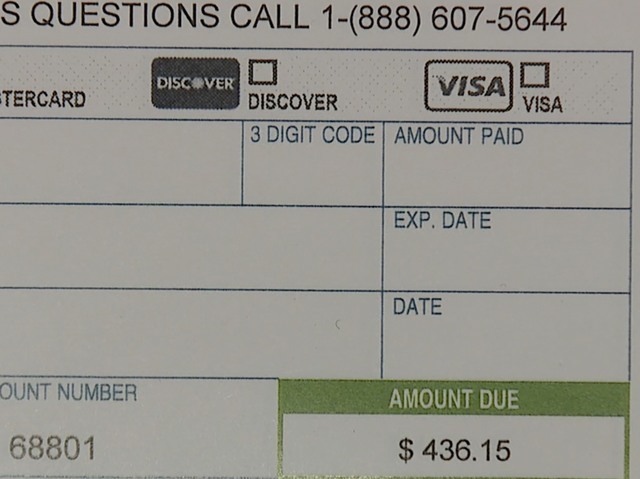 5 On Your Side Investigators checked several other municipalities in our area to see if they bill for non-emergency police calls. Every place from Avon Lake, Cleveland Heights, East Cleveland, Rocky River, Seven Hills, Shaker Heights, to Westlake said "no." Those calls are a public service.